The Gutter Monkey: Martin Sixsmith from 2013's Philomena added to the Atheist & Agnostic Film and TV Characters list! Martin Sixsmith from 2013's Philomena added to the Atheist & Agnostic Film and TV Characters list! While scrounging around through some old notes, I found that I had apparently been meaning to add this one onto the list for a very long time. As usual, I must have procrastinated to the point of forgetting completely. Whatever. It's here now. Philomena is a nice little movie based on what I assume is a nice little book. It's also a true story. 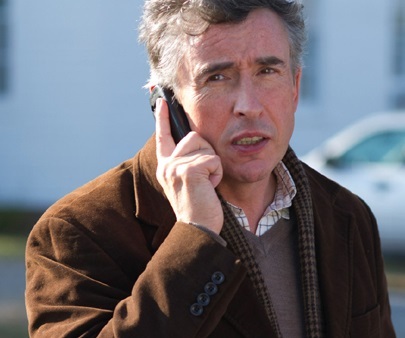 And while the guy real-life atheist Steve Coogan plays in the film, Martin Sixsmith, says he's an "agnostic" and not an atheist (that one never gets old) the character in the film is, without question, a stone-cold non-believer. One of the characters notable quotes includes: "I don't believe in God, and I think He knows." To see the full Atheist and Agnostic Film and TV Characters List, click here.